New York Painting Services supplies a number of painting and related services to commercial businesses and residential homes throughout Greater New York as well as Greater New Jersey. We are completely licensed and insured to bring affordable and professional assistance to our customers. At New York Painting Services we are committed to upholding high moral standards, conducting exceptional work ethics, applying friendly customer service, and executing superior workmanship on consistent basis in an effort to become your regular painting company. 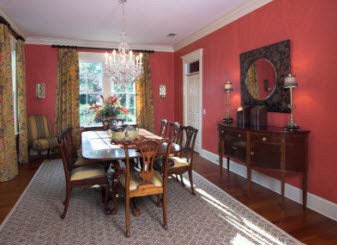 New York Painting Services experts possess advanced training, years of priceless experience, and extraordinary skills that allow them to be more than capable of tackling any task associated with the services we provide. Our specialists utilize premium quality products, tools, supplies, materials, and equipment exclusively offered to licensed professionals to ensure our valued customers receive nothing less than maximum results. New York Painting Services takes care of the office buildings throughout the New York and New Jersey areas with painting and other related services. We offer a multitude of services such as exterior and interior painting, wallpaper removal, installation, wall coverings, crown molding, baseboards, cabinetry, drywall repair, drywall installation, and drywall replacement, water restoration, pressure washing and more. There are countless services we can do to make your office unique to reach customers as well as make it a comfortable place for you and your support staff to work in on a daily bases. Even if you don’t quite know what you are looming for our design consultation service can help you find the right path. New York Painting Services exterior and interior painting service for your New York and New Jersey office is executed with care and precision. We do not slop through our services or take any short cuts. We ensure it is done the right way. No matter if you are interested in rustic charm, traditional neutral glow, or modern trends, our exterior and interior painting services will be done to perfection. New York Painting Services pressure washing is an excellent source for providing a deep clean on your New York and New Jersey office’s exterior. Removing the building up of daily grime, foot traffic, pollutant, contaminates, and allergens can get your store front, sidewalk, windows, parking lots, and dumpster pads clean, sanitized, and deodorized to provide your guests and employees with an exceptional level of clean to be noticed and taken seriously. 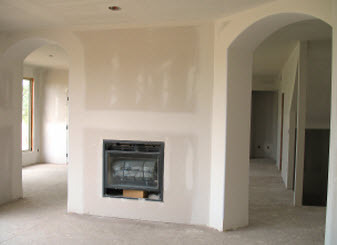 New York Painting Services crown molding and baseboards are often just what a room needs to complete any design. Crown molding blends the ceiling into the wall or offers high cabinets with a decorative accessory to add a bit of elegance. Where the baseboards blend the floor and the wall together to cover the harsh seam, it can be a useful service to give your office just what it needs without going over the top. New York Painting Services offers so many services for your office in New York and New Jersey. 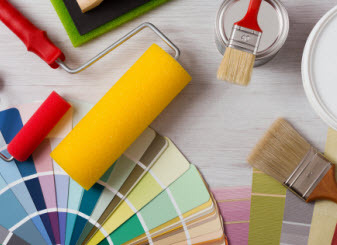 Whether you are looking to give it a complete makeover, just looking for some subtle changes, or wanting to upkeep some maintenance services, New York Painting Services experts are well versed in a number of services to keep your office looking pristine. Call us today to get started!